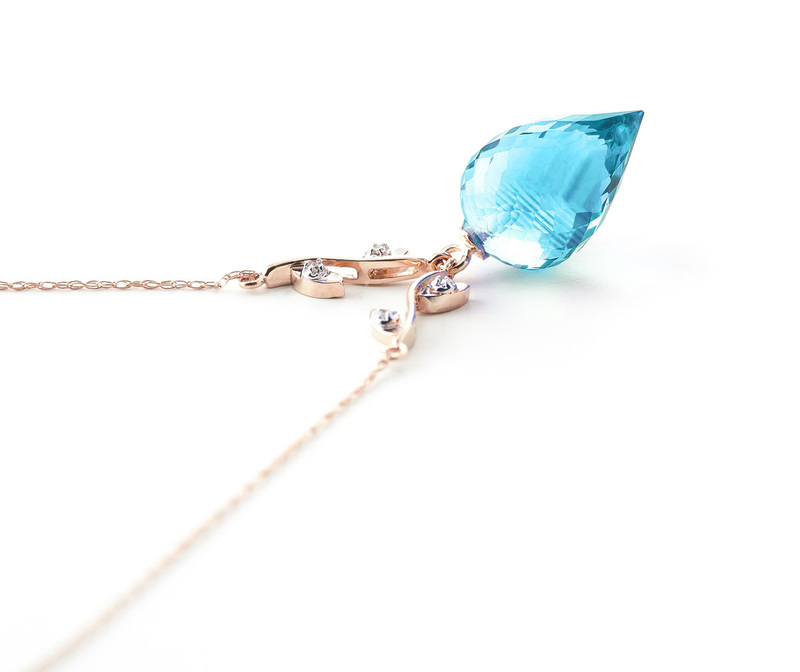 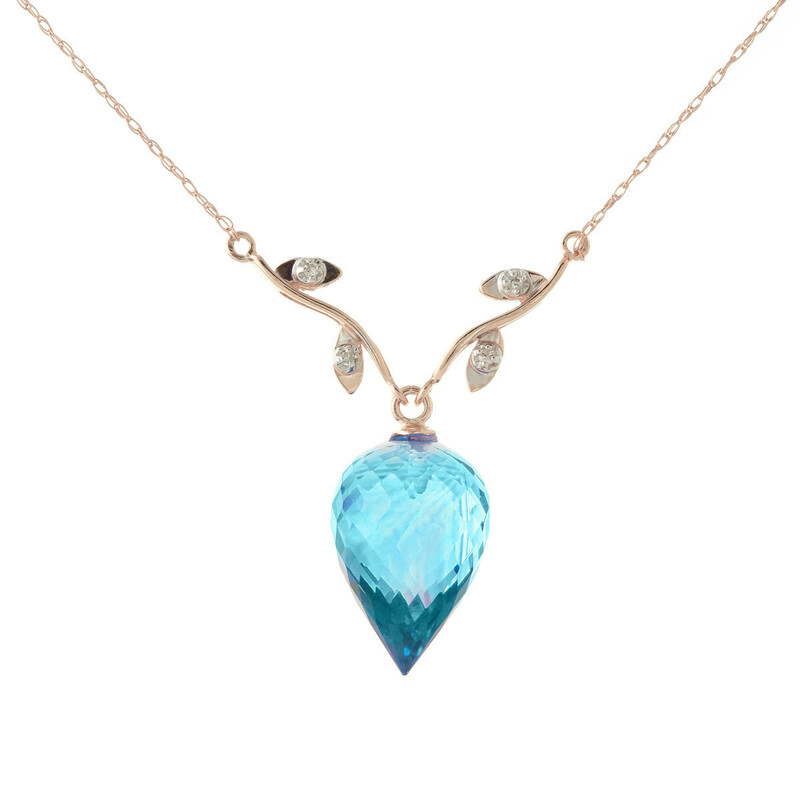 Blue topaz necklace handcrafted in solid 9 carat rose gold. 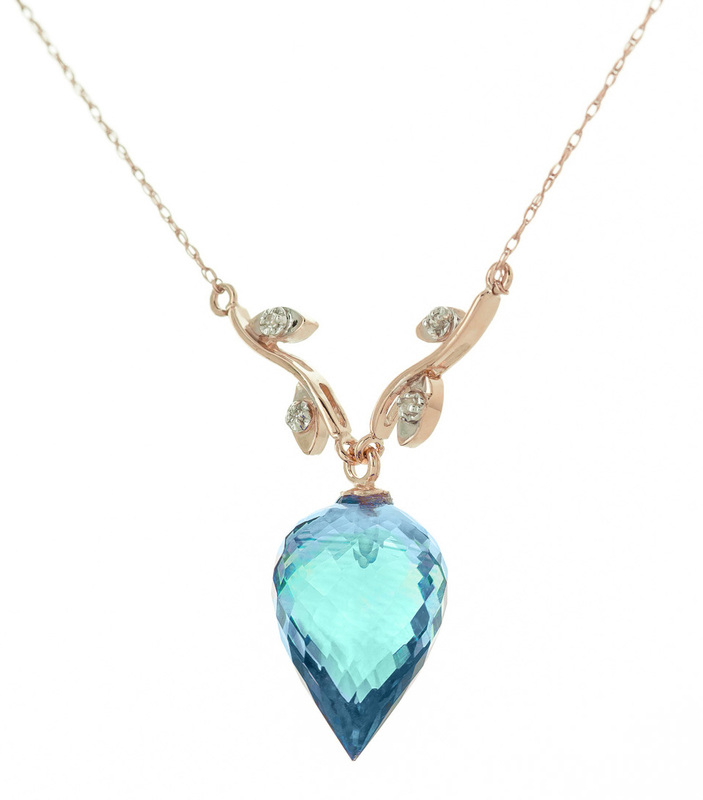 Single 11.25 ct natural blue topaz, four diamonds, I-3/K, total 0.02 ct. 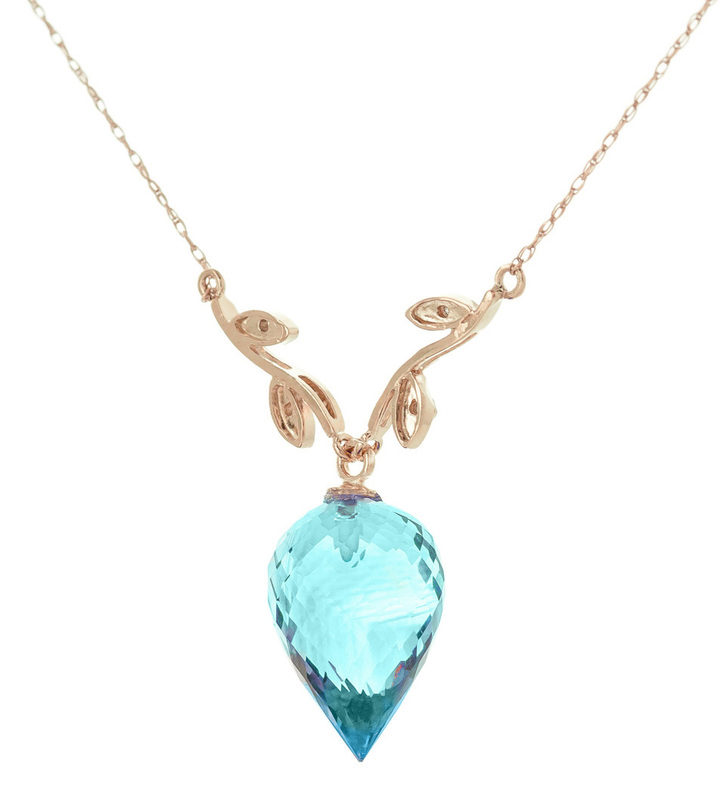 Pointed Briolette cut. 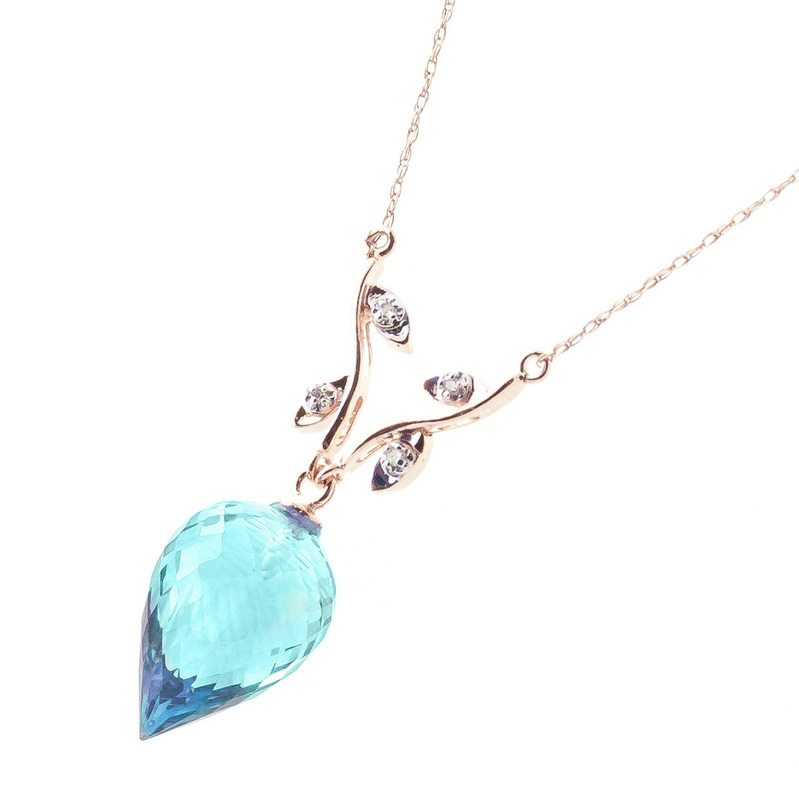 Pendant hangs from rose gold double link rope chain with spring clasp, length options from 14" to 24". 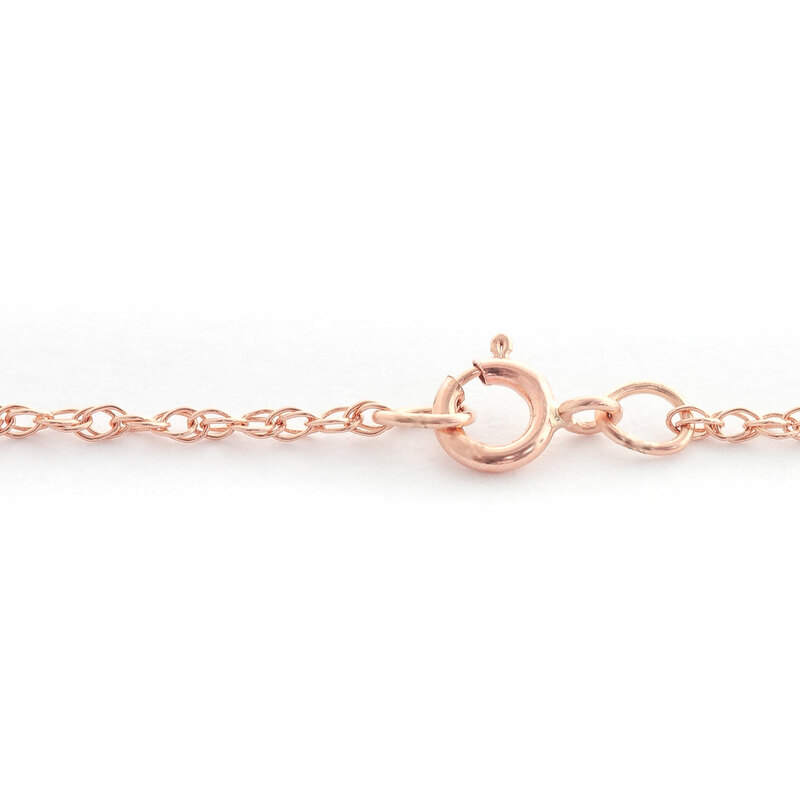 Available chain thickness 0.68 mm (pictured) and 1.15 mm.